We have started the test of the 1.2V AAA 850 mAh Hama Ready for Power NiMH batteries as we normally do with a low constant current discharge rate of 0.1A and the result we got was 992 mAh, a surprisingly good result from a battery rated at 850 mAh. Increasing the constant current load to 0.2A these batteries still manage to provide more than their rated capacity, and going for 0.5A load they fall just a bit below their rated capacity. Even with a 1.0A constant current discharge load we got surprisingly high useable capacity, meaning that Hama did really well with this product and it not only meets the ratings, but surpasses them quite a lot. 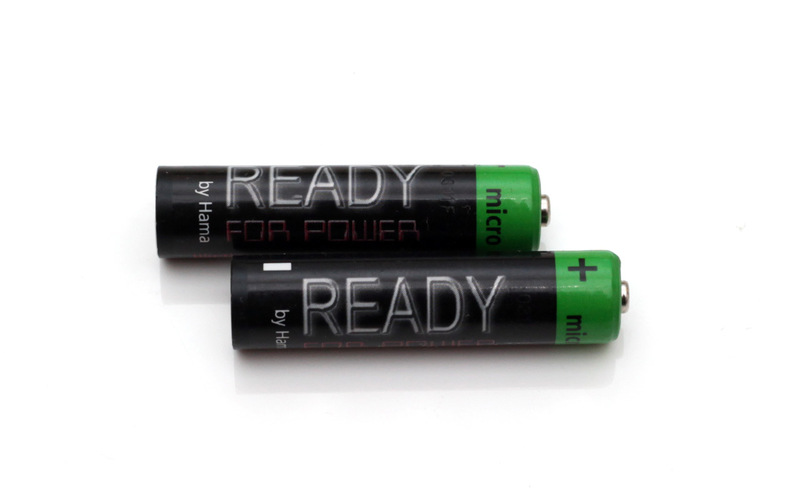 The batteries handle very well not only with a low current load, but with a high loads as well, making them suitable for all applications. the good useable capacity under low and high loads, together with the low self discharge capabilities makes these rechargeable Hama batteries a good choice for various needs.